We are fortunate enough to live and work in a small coastal Florida town with just over a thousand residents. Mexico Beach is as close to "Mayberry" by the sea as any small town could be. We have been known to complain about traffic even though we do not have a traffic light. That being said we really do know how lucky we are and hope you will tell only the best of your friends about Mexico Beach. Here is a photograph of myself and my lovely bride. I am the big lure on the right and Mary my bride is the small lure on the left. Mary sells real estate in the area. She decided after sixteen years of teaching school she finally had enough. She now has a very successful career as a broker associate with Sundance Realty in Mexico Beach Florida. 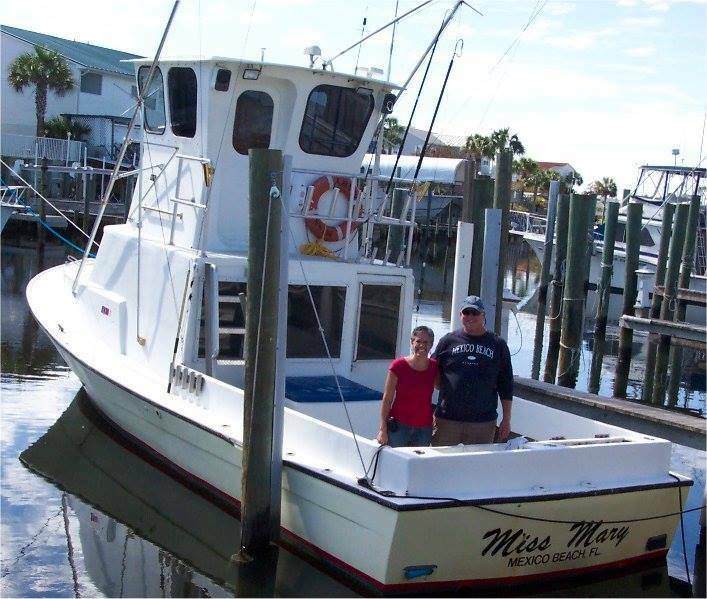 I have been operating the charter boat Miss Mary offshore in the Mexico Beach and Port St. Joe Florida area for over twenty years.